AURORA, Ont. 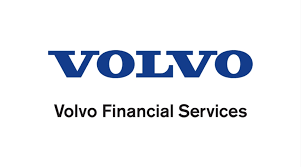 — Volvo Financial Services (VFS) Canada has been named a Best Workplace in Canada by the Great Place to Work Institute. This latest recognition for VFS Canada follows its certification as a Great Place to Work in July 2017. The company also was named a Best Workplace in Financial Services and Insurance in the Canadian market by the Great Place to Work Institute in November 2017. The Great Place to Work Institute selects winners by analyzing employee survey results from Great Place to Work–certified companies and used that data to assess each organization’s commitment to developing a unique culture with a high level of trust and transparency. Each company’s survey results were then compared with others in the country, and the top 150 companies were awarded Best Workplace status.